Another year means another addition the the Nexus Family. Google has just announced three new devices that will be added to the Nexus line up, the Nexus 6, 9, and the Nexus Player. All three devices are manufactured by different companies all working alongside Google - Motorola, HTC, and Asus respectively - to provide a pure Android experience. 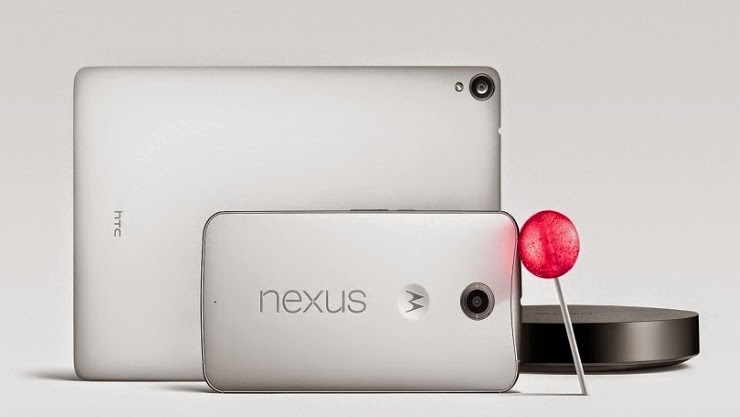 All of the new devices will launch with the latest version of Android, Android L, dubbed "Lollipop". The Nexus 6 as the name suggests sports a six'' (5.9 actually) display, which even compared to the Note 4's 5.7'' display, is huge. 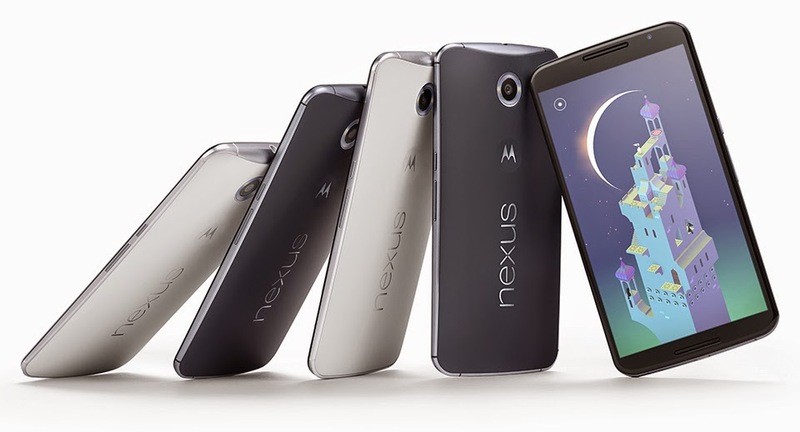 The Nexus 6 is set to release on the 23 October for $649, a huge leap from the $350 Nexus 5. With the price tag that competes with other high end phones, you get a 2560x1440 2K display, a 13MP rear facing camera, 3220mAh battery, Adreno 420 paired with a 2.7GHz quad-core processor and 3GB RAM in 32GB and 64GB packages. The large battery capacity sounds promising as well as the quick charge feature that should give 6 hours of usage from a 15 minute charge. Even with the massive 5.9'' display, the phone is only marginally taller (~1mm) compared to the 5.5'' iPhone 6 Plus. Speaking of appearances, since the phone is manufactured by Motorola and not Google itself, the phone shares many visual similarities to the much cheaper Moto X such as the ring flash around the rear shooter and the back of the phone. 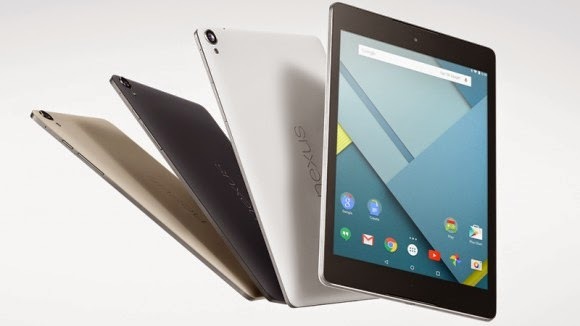 The Nexus 9 tablet fits somewhere between the now "old" Nexus 10 and the small, inexpensive, but powerful Nexus 7. It sports a 8.9 inch IPS display with a 2048 x 1536 resolution and the choice to use a 4:3 aspect ratio instead of the 16:9 we have all been accustomed too (unless you're an iPad user). Under the 8.9'' display lies the first Nexus 64-bit processor courtesy of NVIDIA and its K1 chip. The processor runs at 2.3GHz and is paired with a Kepler DX11 graphics chip and 2GB of RAM. The camera gets a welcome upgrade to 8MP, up from the 5MP on the Nexus 7. The storage stays the same with Google's 16GB and 32GB offerings. 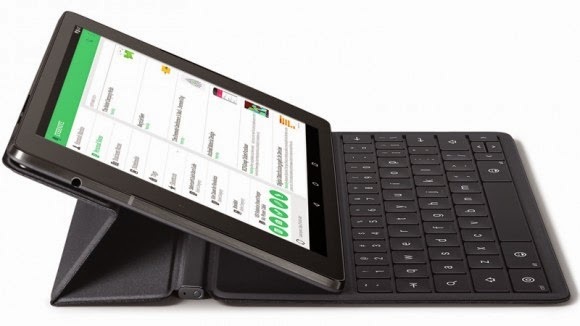 The detachable keyboard accessory is also a first for the Nexus lineup. It acts as a protective folio cover when closed and a physical bluetooth keyboard when open. They keyboard will cost you the large sum of $129 though. With the larger screen, we see a larger 6700Mah battery which is significantly larger than the Nexus 7's 3950mAh. The last new product to the table is the Nexus Player, possibly Google's second attempt at the not so successful Google TV. The Nexus Player comes with a reasonable enough $99 price tag and does feature more apps that the Google TV. Users can also purchase the optional $44.99 gamepad to play games on their TV. The Nexus Player does offer features found on the chromecast so you can send content from your Android phone or tablet to your TV. Devices are available for preorder, as of now!